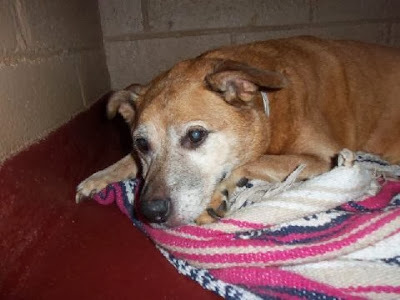 Hearts to the Rescue: Atlanta,GA_ $300__ Senior dog THROWN from car__ next to die at shelter !!!! Atlanta,GA_ $300__ Senior dog THROWN from car__ next to die at shelter !!!! This sweet senior dog was thrown from a car... Please help save MAITI. $300 SPONSORSHIP money goes TO THE PERSON who saves her !! We witnessed this girl being thrown from a car at the top of the hill to our parking lot. She's very sweet and likes to sleep a lot. She's been someone's pet at some time. She is fat and other than age-related health problems she is ok. She does have arthritis and is on pain management for that. She needs a rescue to help her. She has been vaccinated and is heartworm negative. She weighs around 50 lbs, but is a little chunky.